Contest winner, George Quiroga's self portrait. George Quiroga wins first place in Al's Think Tank Photo Pirate's Booty Halloween Contest! 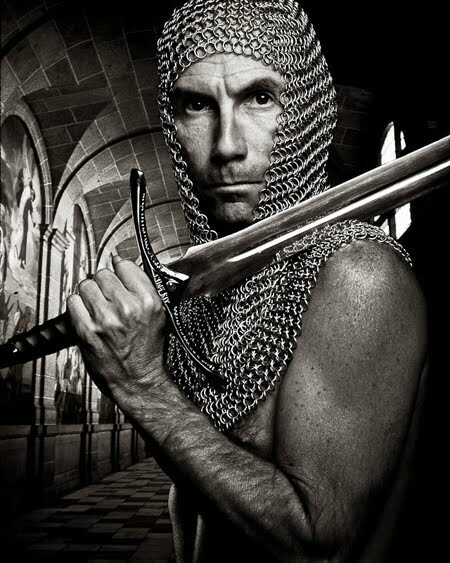 George dared to walk the plank in his self portrait wearing chainmail while brandishing a massive sword. It was enough to convince the judges, Chuck Fadely and David Santiago. Congratulations George and thank you to all that entered this year's Halloween contest. Check back for future contests with prizes supported by my sponsors. Here is the original post to the contest with entry rules.